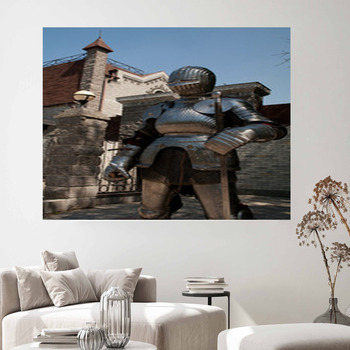 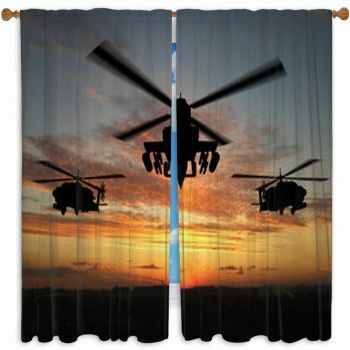 Make your home a castle with knights guarding the walls in custom wall art. 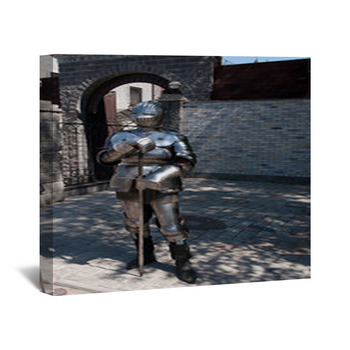 Leave brassy armor with its curves and stripes and shoulder pads on a knight themed gallery wrap. 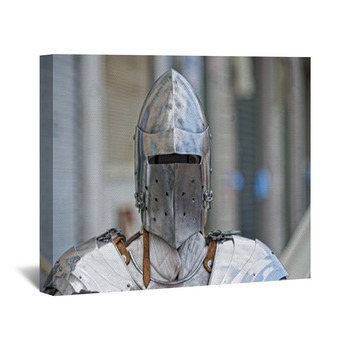 Put iron masks and shields of royal blue and gold on custom size posters, or scarlet and silver, with golden imperial lions. 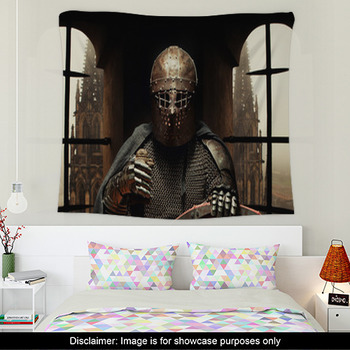 Leave a shiny silver knight with a red plumed helmet on a custom decal in the window. 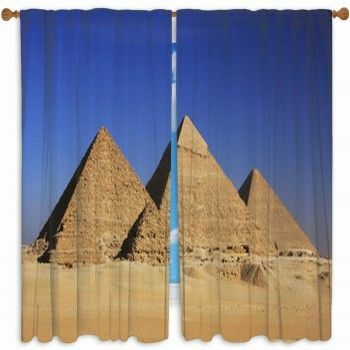 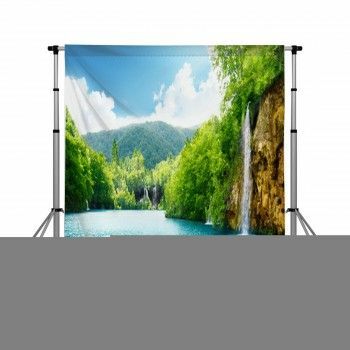 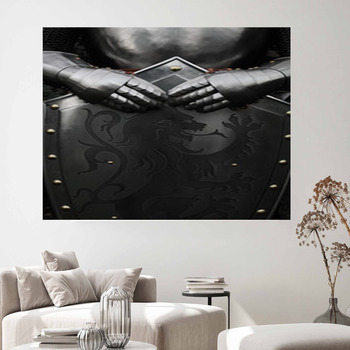 From a knight riding into a golden sunset with orange flames licking at the sky to a dragon flying in midnight blue skies over a medieval castle, this knight themed wall art will leave you deserving a tap on each shoulder. 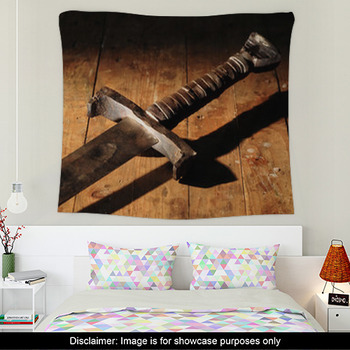 Put knights in battle, chocolate-fronted shields clashing, silver gleaming and burnt orange bright on a custom size wall hanging. 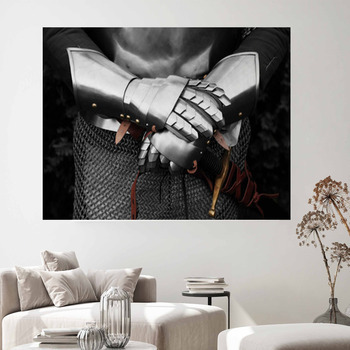 Leave the rocky armor of a samurai on a knight themed poster. 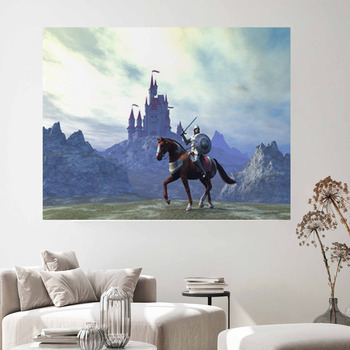 Put the Huzzah of a black horse charging across an open field in a dark green forest carrying its jousting knight into battle on a custom size wall mural. 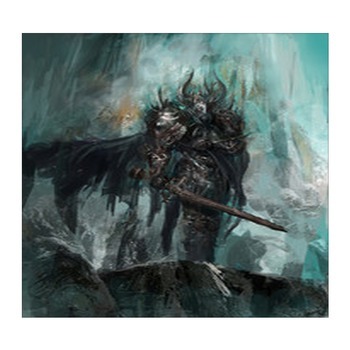 Take a look at his foe on a white horse with scarlet imperial banner waving. 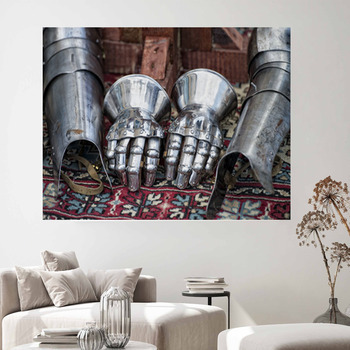 Leave a long haired Sir Lancelot on one knee before Queen Guinevere in a rose garden on a dreamy gallery wrap. 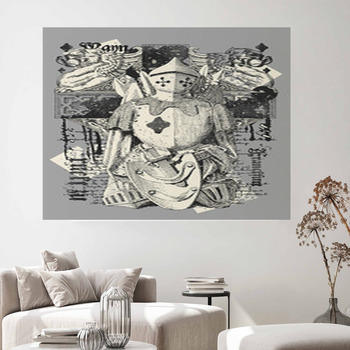 Plan out your moves on a chess board wrapped around your walls on a custom size knight themed wall sticker. 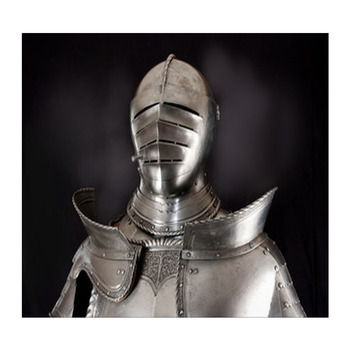 From a jeweled Ex Caliber leaving an aqua glow on silver seas to an iron helmet with thin slits for eyes, put some knights around your conference table and bring some chivalry to the workplace.